Seabridge Marina, Westport Marina, and Riverpark communities have a Mello-Roos tax allocated to community services and infrastructure via bonds that are repaid through the levy over time. The fees vary between communities and are general calculated by the size of the home. 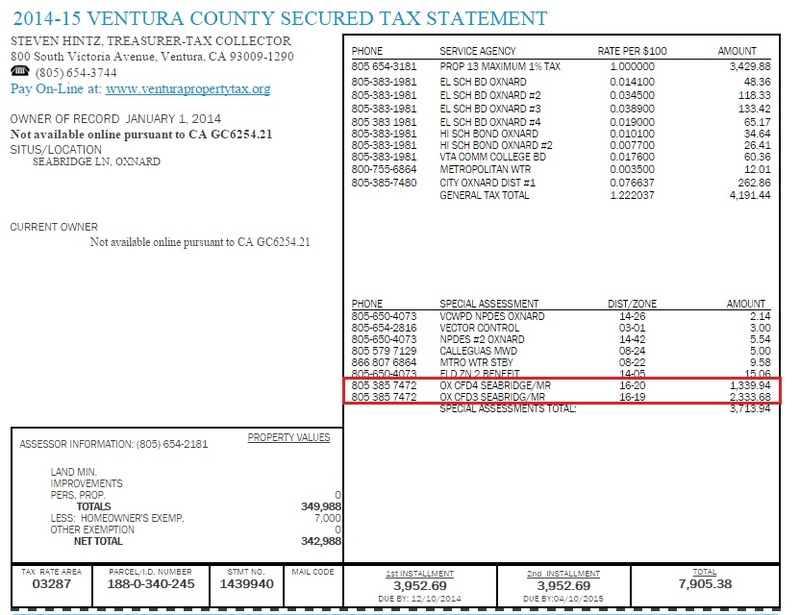 Mello Roos in Ventura County are published by the Tax Collector on the property tax bill. Enter the property address or Assessor Parcel Number (APN).